From 1 April 2016, there are changes to the FBT treatment of salary packaged meal entertainment and entertainment facility leasing expense benefits (meal and other entertainment benefits). Some of the changes will affect all employees, while others will affect employees of not-for-profit organisations. the 50-50 split method and 12-week register method cannot be used by the employer for valuing salary packaged meal and other entertainment benefits which may affect how much an employee can salary package. the amount of those benefits exceeding the separate grossed-up cap of $5,000 are included in calculating whether the value of all benefits an employee receives exceeds the general FBT exemption or rebate cap. This means that from 1 April 2016 employees can receive such benefits worth between $2,329.59 and $2,549.98 (depending on whether the employer is entitled to GST credits) without exceeding the $5,000 cap. the methods available for valuing entertainment fringe benefits. Depending on the sort of entertainment that your employer provided to you as an employee, there may be different FBT implications which may need to be included in your 2015-16 Payment Summary. Talk to your tax adviser about the entertainment you may have received from your employer over the festive season (Did you have a Christmas party? Did you receive a gift from your employer?) if you are concerned with how this might impact your 2015-16 tax return. From 1 April 2016, small business employers (with turnover of less than $2 million) will be able to provide employees with multiple electronic devices to use for work without incurring a fringe benefits tax (FBT) liability. If you need more than one device for work, talk to your employer about having them provided to you, but note they won’t be able to provide you with multiple devices until 1 April 2016 or they will be subject to FBT. Note that providing these devices may be a benefit in addition to or part of your salary or wages package. If you are planning on requesting multiple devices from your employer, talk to your tax adviser first to find out how the FBT rules may impact this. To simplify the car expense deduction rules, from 1 July 2015, the government has abolished the one-third of actual expenses method and 12% of original value method. The cents per kilometre method (with the existing 5,000km cap) and the logbook method (with unlimited kms) remain. See your tax professional if you require more information about this change. The non-concessional contributions cap is $180,000. People aged under 65 years may be able to make non-concessional contributions of up to 3 times their non-concessional contributions cap for the year, over a three-year period. This is known as the “bring-forward" option. The maximum superannuation contribution base for 2016-17 is $51,620 per quarter. If you are an eligible low or middle income earner and make personal (after-tax) contributions to your super during a financial year, the government will match your contribution with a co-contribution up to a certain amount. The maximum superannuation co-contribution entitlement for the 2016-17 year remains at $500. However, the lower income threshold increases to $36,021 and the higher income threshold increases to $51,021. The changes are intended to make it easier for individuals to be reunited with their lost and unclaimed superannuation. The Treasury will work with the ATO and superannuation industry stakeholders to implement these changes, which will be rolled out progressively from 31 December 2015. For a detailed description of the proposed changes please visit the ATO website. The changes have now become law. See earlier editions of TaxWise (and above in relation to the FBT concessions on salary packaged entertainment benefits and work-related car expenses) for details of the changes. If you think any of these changes may affect you, speak to your tax adviser who will be able to advise you if these changes impact your personal circumstances. On 12 November 2015, the ATO issued a Taxpayer Alert about arrangements where a purported partnership with a private company partner is used to enable individuals to access business profits without paying top-up income tax at their marginal rates of tax: TA 2015/4 (12 November 2015). The ATO is currently reviewing arrangements where profits are claimed to be directed through a purported partnership that has a private company as a partner. Most of the profits are taxed to the private company at the corporate tax rate, but are accessed by one or more individuals without paying additional tax reflecting their higher marginal tax rate. The ATO is currently undertaking a pilot compliance program reviewing a number of cases involving arrangements of this type and will be engaging with additional taxpayers over the coming months. Should you be involved in arrangements of this kind, talk to your tax adviser to see if your arrangement could come under review by the ATO. advised the ATO they are not required to report, but the ATO’s records indicate the business should have reported. The ATO will advise businesses that are reviewed what the review has found and will suggest ways to make it easier for the business to complete their reports more accurately in the future, such as using the ABN Lookup tool or ATO app to check a contractor’s ABN or if they are registered for GST. This may impact the kind of information businesses ask contractors to provide. 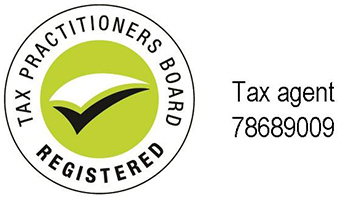 It may be best to review your ABN registration to ensure all the details recorded on the Australian Business Register about your registration are accurate (www.abr.gov.au). From 1 July 2016, Family Tax Benefit Part B will not be available for ‘couple families’ (other than grandparents and great-grandparents) with a youngest child aged 13 or over. Single parents, grandparents and great-grandparents caring for a youngest child aged 13 to 18 will continue to have access to Family Tax Benefit Part B (subject to satisfying other relevant requirements). These measures have now become law and was introduced by the Social Services Legislation Amendment (Family Payments Structural Reform and Participation Measures) Bill 2015 on 21 October 2015. On 2 December 2015, the Minister for Social Services introduced into the House of Representatives a Bill to introduce two 2015 Budget measures: Social Services Legislation Amendment (Family Measures) Bill 2015. From 1 January 2016, the Bill will reduce to six weeks the length of time for which Family Tax Benefit Part A, and additional payments that rely on Family Tax Benefit eligibility, will be paid to recipients who are outside Australia (known as ‘portability’). The ‘portability’ extension, and exemption provisions that allow longer portability under special circumstances, will continue to apply. This measure will align the portability rules for Family Tax Benefit Part A with those for Family Tax Benefit Part B and most income support payments. The large family supplement will cease from 1 July 2016. The supplement is a component of Family Tax Benefit Part A, and is currently paid at a rate of $324.85 per year (or $12.46 per fortnight) for the fourth and each subsequent Family Tax Benefit child in the family. On 2 December 2015, the Minister for Social Services introduced into the House of Representatives a Bill to make further reforms to Family Tax Benefit Part A and Part B: Social Services Legislation Amendment (Family Payments Structural Reform and Participation Measures) Bill (No 2) 2015. Family Tax Benefit Part A fortnightly rates will be increased by $10.08 for each Family Tax Benefit child in the family aged up to 19. An equivalent rate increase, of around $10.44 per fortnight, will apply to youth allowance and disability support pension recipients aged under 18 and living at home. These increases will apply from 1 July 2018.
introduce a reduced standard rate of $1,000.10 per year for individuals with a youngest child aged 13 to 16 (currently $2,737.50) who are not single parents aged 60 or more or grandparents or great-grandparents. The Bill will phase out the Family Tax Benefit Part A supplement by reducing it to $602.25 a year from 1 July 2016, and to $302.95 a year from 1 July 2017. It will then be withdrawn from 1 July 2018. The Family Tax Benefit Part B supplement will also be phased out. It will be reduced to $302.95 a year from 1 July 2016, and to $153.30 a year from 1 July 2017. It will then be withdrawn completely from 1 July 2018. Some of these changes have now made their way into law and others are not far away from becoming law. It may be a little confusing to work out exactly how you might be affected by these changes if you are eligible for either Family Tax Benefit Part A or Part B. Therefore, you should seek professional advice from your tax agent or adviser to work out the precise impact on you, if any, of these changes. The ATO will be contacting more than 500,000 taxpayers through a pilot program it is running to let them know that their recently submitted 2014-15 tax returns are finalised and will not be subject to any further review. The ATO says that individuals who receive a ‘certainty’ letter can be assured that the ATO is happy with their tax return, and has closed the books permanently on the return, provided there is no evidence of fraud or deliberate avoidance of tax. The letter is intended to acknowledge and provide certainty to taxpayers who meet their obligations with their tax. Receiving this letter means the ATO has completed its routine information checks on a recipient’s tax return and is satisfied with the information provided. There will be no further review or audit of that return. the taxpayer had straight-forward tax affairs (such as no links to other entities). Not everyone who meets the criteria will receive a letter during the pilot. Depending on the success of the pilot, the ATO aims to expand this program to more taxpayers for tax time 2016. For more information, go to the ATO website. On 7 December 2015, a suite of new tax and business incentive measures was announced under the Commonwealth government’s National Innovation and Science Agenda (NISA): Prime Minister’s media release (7 December 2015); Treasurer’s media release (7 December 2015). The intention is that the government’s tax and business incentives under the NISA will encourage smart ideas to encourage innovation, risk taking and build an entrepreneurial culture in Australia. remove rules that limit depreciation deductions for some intangible assets (like patents) to a statutory life and instead allow them to be depreciated over their economic life as occurs for other assets. The new arrangements will apply to assets acquired from 1 July 2016.
make existing employee share scheme (ESS) rules more user friendly. The new rules will allow companies to offer shares to their employees without having to reveal commercially sensitive information to their competitors. These changes build on the recent reforms to ESS, which included deferring the taxing point for employees and introducing an additional concession for those working in start-up companies. Legislation is expected to be introduced in the first half of 2016. The full text of the National Innovation and Science Agenda is available on the NISA website. When an activity statement or instalment notice is ready, the ATO will send a message to your myGov Inbox. To lodge or pay, you should simply click the link in the message to go to the ATO’s online services for individuals and sole traders. However, before proceeding to lodge, it would be worth asking your tax agent for assistance with this lodgement obligation. If you are planning on living and working overseas, there are some things you should fix up with the ATO before you go. Your tax adviser will be able to tell you about what you will need to do before leaving Australia. For example, where you have a HELP debt, make sure you update your contact details with the ATO. You should also note that once you earn a certain amount of income overseas, you will need to make payments towards your HELP debt. More information about this can be found on the ATO website. Also, if you work overseas, for 91 days or more, you may or may not need to pay tax on the income you earn overseas. For example you might get a credit for tax you pay overseas. More information about what you need to do can be found on the ATO website. The ATO is undertaking a number of data matching programs that may impact you as an individual taxpayer depending on what sort of activities you have been engaged in. Should you have any concerns about these data matching programs or have received correspondence from the ATO about any of them, you should speak with your tax adviser. The ATO has announced that it will acquire details of real property transactions for the period 20 September 1985 to 30 June 2017 from State and Territory revenue and land titles departments and offices and rental bond authorities in every State and Territory in Australia: Australian Government Gazette No C2015G02019 (8 December 2015). The purpose of the ATO obtaining this information is to gain a better understanding of certain taxpayers’ wealth and to help the ATO to provide tailored services to taxpayers to ensure they meet their tax obligations. During January and February, the ATO will issue formal notices to insurers to provide the ATO with these policy details. The ATO anticipates it will receive 100,000 records where the different asset classes meet certain threshold amounts. The ATO has given notice of a data matching program pursuant to which it will acquire data to identify individuals that may be engaged in providing ride sourcing services during the 2013-14, 2014-15 and 2015-16 financial years: Commonwealth Gazette C2015G01623 (7 October 2015). Details of all payments to ride sourcing providers from identified accounts held by ride sourcing facilitators with various financial institutions will be requested for those financial years. Ride sourcing facilitators provide an electronic platform enabling members of the public to engage the services of a ride sourcing provider (eg, a driver). The data acquired will be electronically matched with certain sections of ATO data holdings to identify taxpayers that can be provided with tailored information to help them meet their tax obligations, or to ensure compliance with taxation law. amount of payment to the payee. The ATO has given notice of a data matching program under which it will acquire online selling data relating to registrants who sold goods and services to a value of $10,000 or more during the period 1 July 2014 to 30 June 2015: Commonwealth Gazette C2015G01628 (8 October 2015). Data will be sought from eBay Australia and New Zealand Pty Ltd, a subsidiary of eBay International AG which owns and operates www.ebay.com.au. The data requested will include information that enables the ATO match online selling accounts to a taxpayer, including name, address and contact information as well as information on the number and value of transactions processed for each online selling account. This acquired data will be electronically matched with certain sections of ATO data holdings to identify possible non-compliance with taxation law. It is estimated that records relating to between 15,000 and 25,000 individuals will be matched. The ATO has given notice of a data matching program under which the Department of Immigration and Border Protection will provide the ATO with names, addresses and other details of visa holders, their sponsors and migration agents for the 2013-14, 2014-15, 2015-16 and 2016-17 financial years: Commonwealth Gazette C2015G01712 (21 October 2015).